Snappy and "ImportError: No module named 'click.repository'"
Create a new file at /etc/apt/preferences.d/snappy-ppa-1500, with these contents (telling apt that we prefer duplicate packages from the snappy-dev PPA). For the time being this should select the packages we need from the snappy-dev PPA, and giving us the right python3-click, complete with repository submodule. The other alternative is to confine your Snappy experiments to an LXC or VM; or completely purge both PPAs and all the packages from them and reinstall just Snappy if you don't care about Ubuntu Touch or regular click package dev right now. Although many of these can be solved with smoke tests, it's not always immediately obvious that there is a problem, or what the problem is. conn-check is a tool that started life inside Ubuntu One to verify connections between services and to S3 etc. post-deploy. During a mini-sprint in Uruguay a few months ago we separated conn-check into it's own own package and open sourced it. Since then we've been improving it and using it to verify deploys on our services (such as login.ubuntu.com). conn-check takes a simple YAML config defining a list of checks to perform (udp, tcp, tls, http, amqp, postgres, mongodb, redis, memcache), and performs those checks asynchronously using Twisted's thread pool, and outputs the results in a Nagios check standard output, so conn-check can be run regulary as a Nagios check to continually verify network status between services (and alert on change, e.g. out of band firewall changes). We have also released a separate package called conn-check-configs which provides tools for automatically generating conn-check YAML configs from a source such as a Django settings module or Juju environment status (we're currently using the Django settings export, with Juju env export being tested in a branch). If you use Juju to manage your infrastructure/deployments, then you can use our charm to deploy conn-check for your service (and even add Nagios checks automatically via the nrpe relation). Just thought I'd mention that I switched jobs way back in April and I now work for Canonical (yes, that one, the producers of Ubuntu Linux), in Online Services, and couldn't be happier. Expect to hear soon about some of the things I've been working on. Just a note to say that yesterday I released Sockii, a smart HTTP and WebSocket aggregator, and blogged about it over on the Server Density blog. From the 6th of December I'm going to be trying a little experiment. I'm going to run a weekly newsletter filled with links to articles, videos, project and dev news from the world of PHP called PHP Weekly (yes much in the style of Peter Cooper and Gareth Rushgrove). If you fancy following along head on over and subscribe, or follow me on twitter where I will also post links to freshly archived mailshots. I recently had a reason to try out Hipchat, being a bit of a "chat enthusiast" (I was an IRC network admin for about 7 years and have a been developer on a few web chat and IM systems) I found Hipchat to be one of the nicest (that I've used) of the recent stream of "IRC for the web" products out there (for example 37 Signal's Campfire). Normally this would have been the end of my quick perusal, until the next time I had reason to the use the service, but I noticed they had not only an API, but also Jabber/XMPP exposure for creating bots. Now my interest was piqued. Not to be confused with Hippy, a PHP library for the Hipchat API. I wrote hippybot using the excellent python-jabberbot, a library that utilises the equally brilliant xmpppy to allow the creation of bots in an easy to understand and pythonic way (e.g. inherit from base class, set some connection strings, override event methods if need be, use decorators to extend commands the bot responds to). The connection config assumes Hipchat's XMPP server, and various details such as the username and channel names have Hipchat specific [pre/suf]fixes added to them automatically. The bot "understands" at-sign mentions (e.g. those popularised by Twitter and supported by Hipchat for directing messages to specific people within rooms, as well as triggering notifications), and commands added by plugins can leverage this. I've added a simple plugin API to the bot, which consists of either creating a function in a module with a decorator, or a class in a module with as many decorated methods (each a different command to trigger the bot) as you like, and the ability to create aliases for commands and define whether a command is triggered by an at-sign mention or not (e.g. @hippybot do something!). In the next release I plan to add a simple wrapper to Hipchat's API (already in master), better at-sign mention handling, and some more core plugins. Feel free to check it out and for an example of the sorts of things you can do with a bot like this just check out some of the things Github's hubot does. I very rarely ask people to spread links about or push my wares, but in this instance I would greatly appreciate sharing "this link":http://goo.gl/S9n7P to anyone you might know who creates/publishes comics of any form (web comics, digital comic books etc.) online. 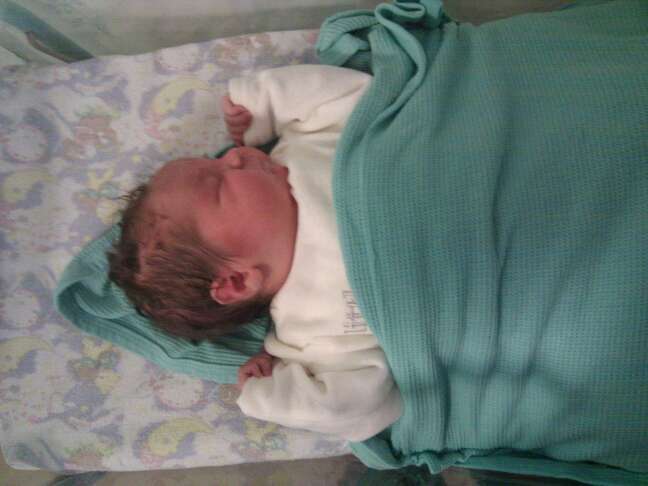 Morgan Robert Mason, born April 26th 12.07am, 10 lbs exactly, mother and baby well (but exhausted).